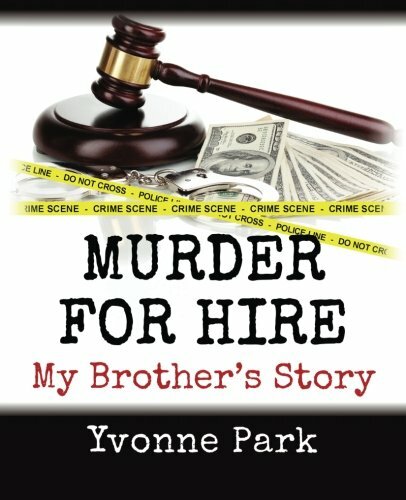 Murder for Hire (My Brother's Story) - a true story involving a love triangle leading to a contract murder for hire as a 32 year old, (Ronald L. Fisher, known as "Big Ron"), young and full of life man just starting his life. "On that (fateful) morning he was riding his motorcycle, when, from behind him - he was shot and killed from a blast of a shotgun". The story tells from beginning to end how this investigation unfolds - little evidence to begin with, the many hours spent interrogating witnesses, the arrests, the trials, the appeals and the ups and downs the family had to endure trying to find closure - years and years before this ever happened. As the sister of Ronald L. Fisher, his story should be told after all of these years. (32 years) I had all of the facts, newspaper articles, police reports, and trial transcripts. I tried to find an author who would do justice and write this story in a professional manner, that did not happen. It was suggested that I write it. I sat down one day and started writing and it finally came together. With the help of Don Munch, Sr, and Don Munch, Jr., the book became a reality. RIP, my brother.